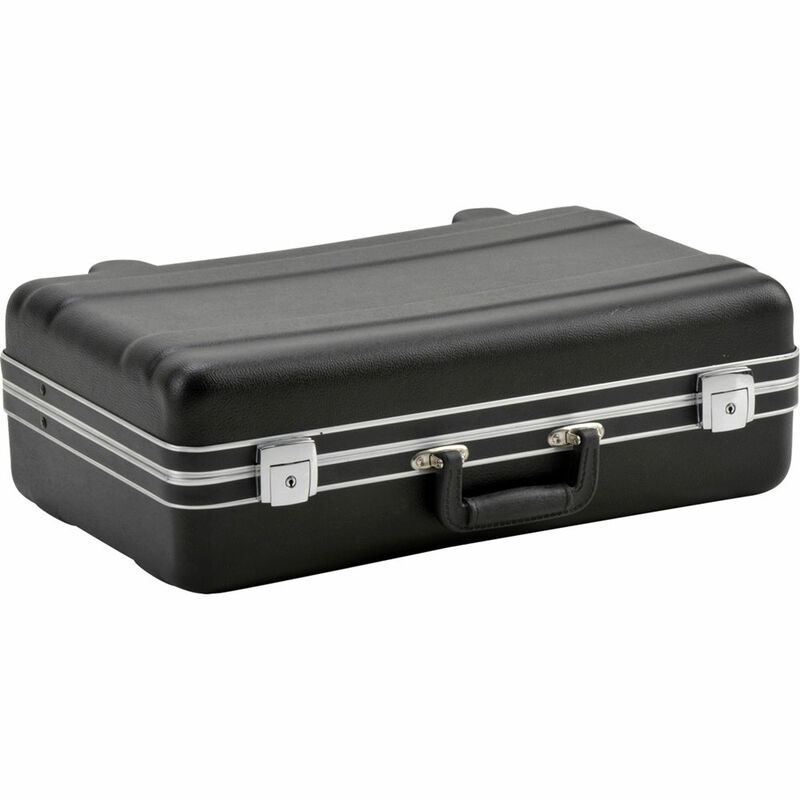 The SKB 9P2012-01BE LS (Luggage Style) Series Transport Case is a heavy duty vacuum formed case without foam that provides maximum impact strength is made to transport audio, photo or video equipment. It is made from ultra high molecular weight Polyethylene. The case is resistant to oils, fuels, solvents and acids and can withstand temperatures from -80° F to 185° F. The case has luggage style lockable latches and handle. Heavy duty vacuum formed luggage style case with horizontal rib design that provides maximum impact strength. Luggage style lockable latches and handle. Box Dimensions (LxWxH) 21.375 x 14.625 x 7.375"